I don’t normally post about bread, right? This is something different. How could I resist Spiced Pear Bread though? It’s downright impossible! I like to look for recipes that are easy to make and can be whipped together with items you probably already have in your pantry. MAYBE you need to run out and get pears. But if you don’t have pears, you could swap them out for apples instead! 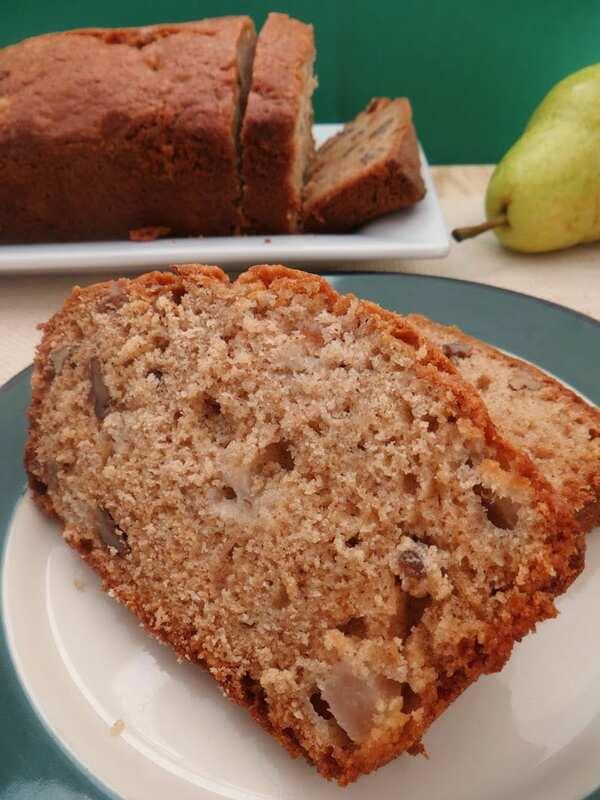 Take a chance and give this Spiced Pear Bread recipe a shot this weekend and let me know what you think! In large mixing bowl, combine oil, sugar and eggs – beat well. 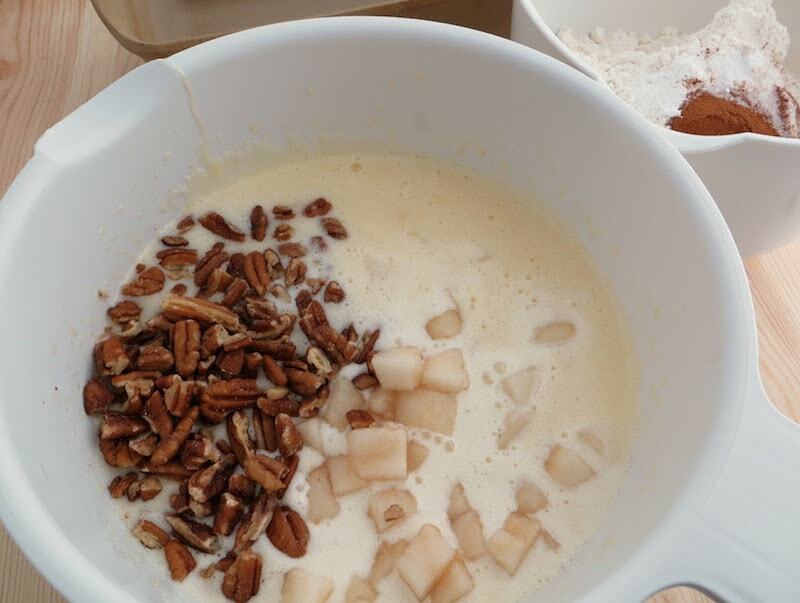 Stir in pears, pecans and vanilla. In another bowl, combine flour, baking soda, baking powder, salt, cinnamon and nutmeg. 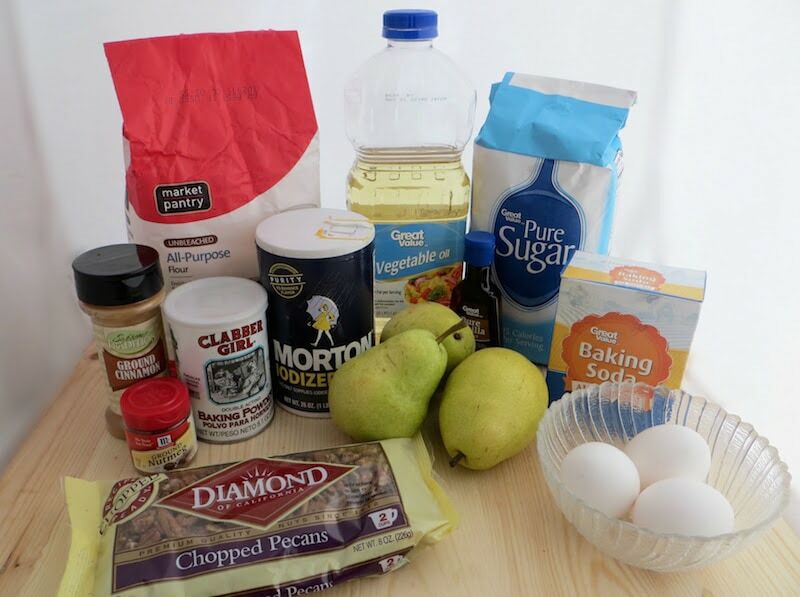 Stir dry ingredients into the pear mixture; mix well. Pour batter into prepared loaf pans. Bake in preheated oven for 60 minutes, until a toothpick inserted into center of a loaf comes out clean. Allow loaves to cool in pans for 10 minutes before moving to a wire rack to cool completely.